Some of our readers at HEXUS.gaming have recently suggested that we should include a release date list on our front page so that they can see which games are coming up each month. Instead, and we hope this will be just as welcome, we’re going to launch a feature at the end of each month detailing some of the more high profile games - and those worthy of a mention - due for release so that you can plan in advance what video games, if any, you might be interested in picking up. First up, and with the New Year rapidly approaching, we kick off with January which sees some big releases from the likes of Sega, Electronic Arts and Sony Computer Entertainment. Of course, all dates are subject to change so it’s worth double checking online or at your local store before barging in there and demanding a particular game, but all the release dates are accurate at the time of publication. Release date: 8th January, 2010. 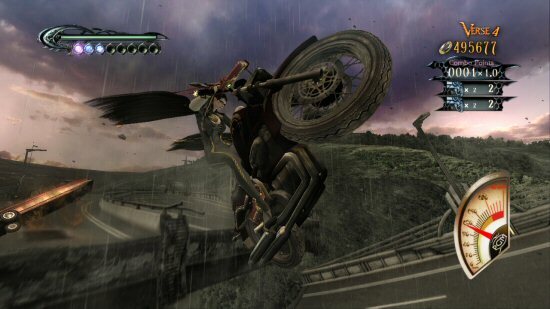 Having created a huge buzz among press on its first showing at E3 in 2009, Sega's Bayonetta is already being billed as the first 'triple A' title to be released in the New Year. Judging by its launch in Japan recently, where it received a perfect review score from respected gaming magazine Famitsu, it's certainly a game that's worth keeping an eye on and its going to be interesting to see whether Western audiences greet it with the same approval. From the creators of Devil May Cry and Resident Evil, Bayonetta is described as a free flowing over-the-top action game, where you play as a witch with powers beyond the comprehension of mere mortals and face-off against countless enemies, evil forces and giant sized bosses. It's a cinematic, stylised action game from the famed creative mind of renowned game developer, Hideki Kamiya of PlatinumGames. The most unique aspect of combat is that we'll be able to use Bayonetta's hair as a weapon, transforming it into the likes of a giant boots, a fist or even a monster. Alongside the combat-focused gameplay, players will also be tasked with collecting halos that drop from the bodies of dead enemies. You can then use these halos to purchase better weapons or upgrades. If you like the Devil May Cry series, then Bayonetta looks like a must purchase.